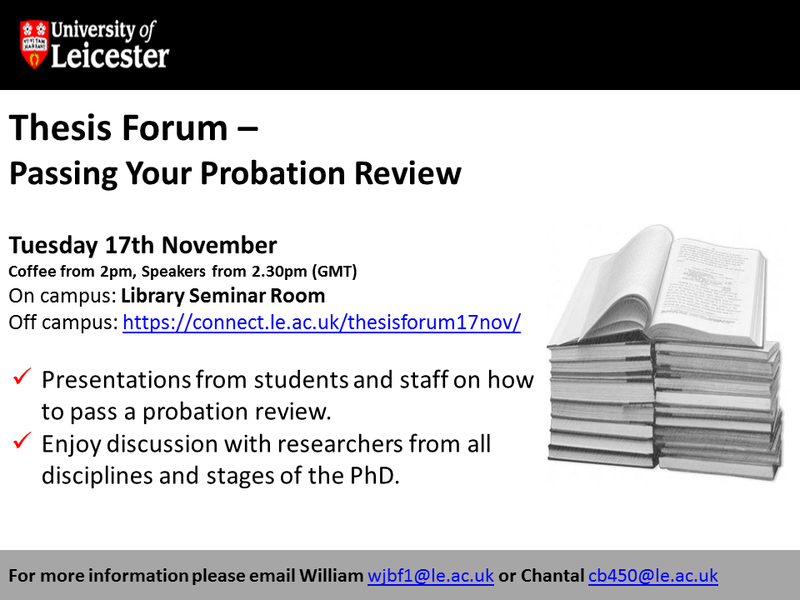 Last week's Thesis Forum on the probation review was a great success. We had a full house to hear Katie Bridger, Megan de Ste Croix and Deirdre O’Sullivan share their advice and experience. Katie Bridger (2nd year PhD History) emphasised that there was no need panic, as long as you were prepared. Understand exactly what your department wants from you and plan accordingly. Katie showed us how she structured the report, and how to compile the information that went into it. Megan de Ste Croix (3rd Year PhD Genetics) recommended booking your panel early, in case they get too busy. Bring your own copy of the report: if the panel make useful comments you can write them next to the relevant section. Focus on the literature review and have a detailed methods section. Deirdre O’Sullivan (Lecturer in Archaeology) gave us the perspective of a member of staff. The panel want to know that you are equipped to proceed with your research. They also like evidence that you have a clear research question. Deirdre shared examples of questions that might be asked, and ways to answer them. Straight forward, honest responses are needed from you - no bluffing! 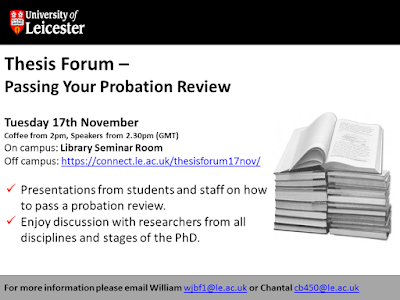 For more information on Probation Reviews see the very detailed section of the Graduate School website.